Yesterday, I posted a picture of the kidlets — all three of them — sitting on our living room couch. 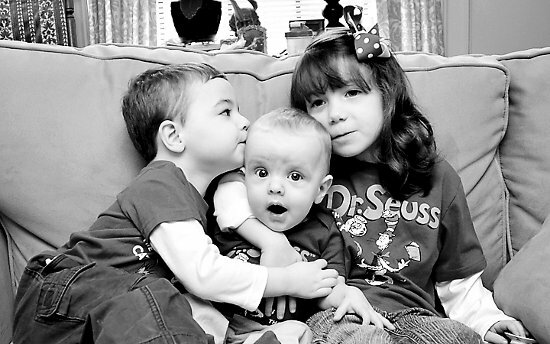 Three children in matching Dr. Seuss shirts. There was a time when I cried and despaired to have children, believing the doctors who told me it wouldn’t happen. Believing in negativity. Now, I take silly pictures of three children. I write about the ridiculous antics of three children. 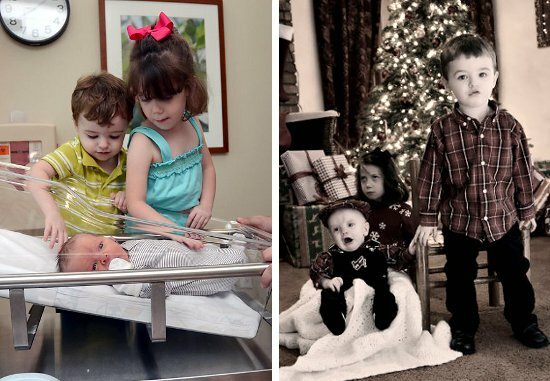 I hear the voices of three children crying, laughing, singing, and squealing…. and, of course, arguing and tattling –but we won’t dwell on that. I wash thirty little toes.Whisper in six little ears.Kiss three little mouths. Every day — even in the moments when I am craving for peace and a moment to run to the bathroom alone — I’m awestruck by the fact there are THREE of them. 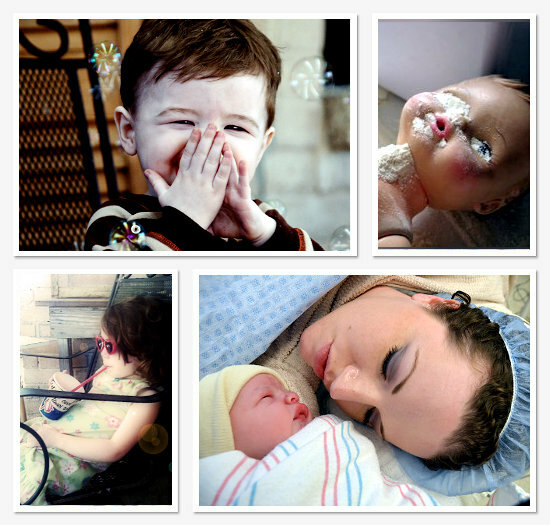 When I was asked to write about my most “meaningful” moment of 2011, I shook my head. One moment? Impossible! Try 525,600 minutes. How could I choose between finding out I was pregnant and the second I first saw the beating heart on the doctor’s ultrasound machine? Or choose between a gorgeous afternoon of bubble play or the day I realized myLittle Lady was growing up. Or what about those moments when I should have been disciplining the kidlets but I wastoo busy laughing? Or the moment I gazed upon the face of a child for the first time? Am I able to select one moment as the most memorable, the most meaningful, the most special? No … no more than I could choose my “favorite” child. Ultimately,every single moment of 2011 was a moment I was a mother… a title I had been told, in a moment fifteen years earlier, I would never hold. And because of that, I had a year of meaningful moments.